It's important to think "out of the box" when looking for ways to keep your writing circling the globe. My own surprising experience is an example. Let me tell you how unexpectedly far-reaching my research and writing became happened. As many of my readers know, worldwide recognition of my regional Montana history, Behind These Mountains, Vol. I, II, and III, first began in 2003, when I posted the trilogy on a website I created to share Montanans' turn of the century histories and photographs from their private albums, free. I didn't want the history of those remarkable people to be forgotten. 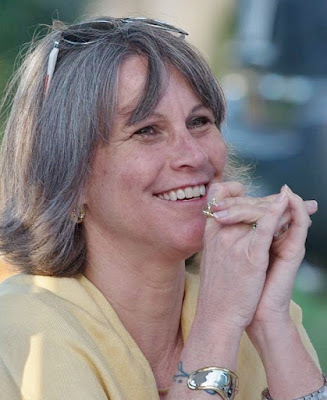 I had no inkling that 13-years-later I'd receive an email from Brita Olson, Coordinator for the Lower Clark Fork Watershed Group (LCFWG) and worldwide recognition would increase substantially. LCFWG is an "umbrella" organization that connects watershed councils, agencies, and corporate partners working on collaborative watershed restoration efforts through the lower Clark Fork River and its tributaries. The lower Clark Fork watershed is defined from the Clark Fork River's confluence with the Flathead River downstream to Lake Pend Oreille. LCFWG sought permission to use historical photographs from my books in a 2017 calendar they envisioned to promote the group's work. Subsequently, Brita selected 84 pictures, wrote copy for each calendar page, hired a graphic designer, and when the draft calendar was ready, sent a copy to me. My contribution to the project was a little editing plus a suggestion to exclude two of the images. In addition to paying me licensing fees for non-exclusive one-time rights for each image, LCFWG invited me to write a paragraph for the calendar to promote my books ~ an invaluable perk. I imagine the calendar will be one of those "keepers" that no one throws away simply because of the captivating, rare, photographs. Six hundred 2017 Bull River Valley calendars were printed.The'll be mailed only to residents with a Noxon address, in Sanders County, Montana. Collector statistics indicate those will become doubly collectible in time. I learned about the increased international recognition from comments left on LCFWG's website where the 2017 B&W calendar can be downloaded free. When I was editing the original 1st edition softcover books published by the Statesman-Examiner in Colfax, Wash., during 1986 and 1991, IWW Nonfiction members skillfully critiqued every word to create a more professional, newer digital edition. When the manuscript was ready, members of other genres on IWW coached me through the process of converting the trilogy to digital Kindle 1st editions. To promote the calendar and the Kindle and PDF editions of my books, I announced the sale on the on the Internet Writing Workshop. The announcement was then also posted on IWW's blogspot. Members of IWW, which includes several genres in addition to Nonfiction, also post the news to their social media. It's not only heart warming to know promotion keeps increasing through friend's, family, and writers' social media, those special, invaluable congratulations rewards that writers cherish continue to arrive. Think "out of the box" and keep your writing accessible worldwide. Meet Judith Quaempts, and read how her low-key marketing succeeds. A review for A Creek Named Sorrow, by Judith was publish in the East Oregonian, her local paper. [Read the digital review. ] The print copy will be available, probably on Sat the 11th. Recently, author, Lynne M. Hinkey, Marine Scientist, was interviewed on Speak Up Talk Radio. "The host, Pat Rullo, is great and easy to talk with," Lynne said. "The interview and an author page with my info will be available on the website for 1-year." 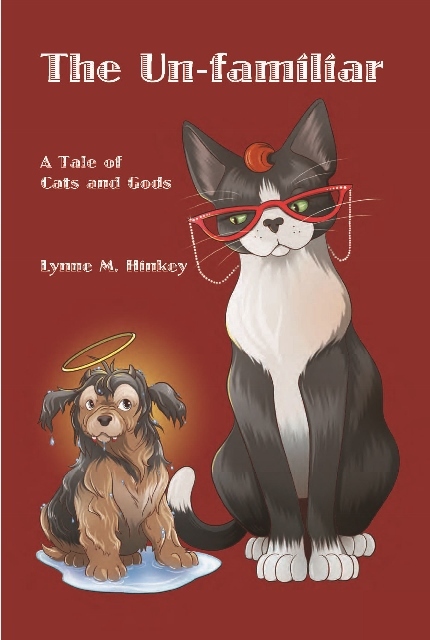 Lynne said she considers the $52 well spent, and thinks it's a valuable and valid promotion of her books. Her interview podcast is available now. 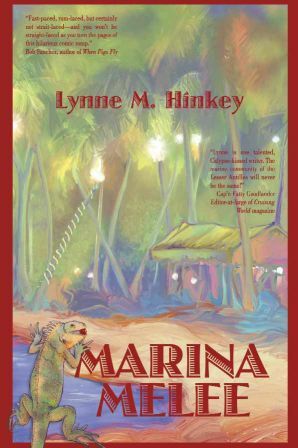 Lynne Hinkey uses experiences from her years living in the Caribbean to infuse her novels with a bit of tropical magic, from the siren call of the islands in Marina Melee to the hysteria and humor of the mysterious chupacabra in Ye Gods! 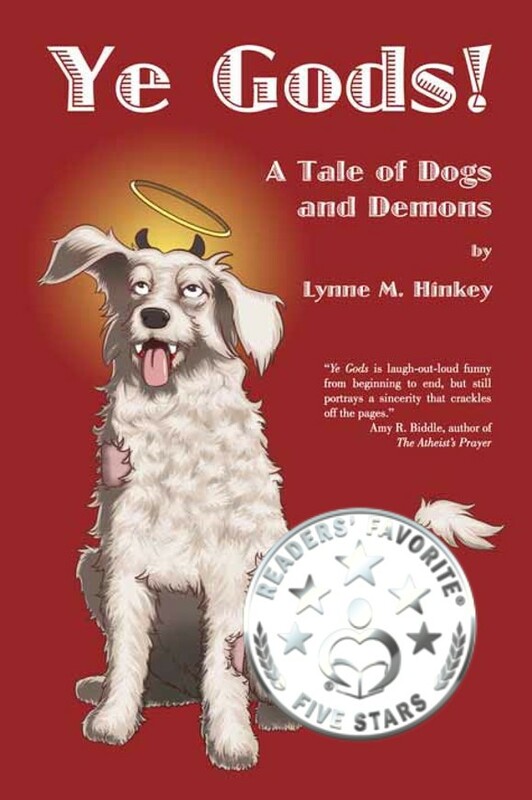 A Tale of Dogs and Demons and The Un-Familiar: A Tale of Cats and Gods. Learn here how easily you, too, can be interviewed for Speak Up TalkRadio. Check out the benefits and browse the website. Then use the Contact link. Speak Up Talk Radio donates the $52 ($1 per week), to the Sewport Project, which sends handmade one of a kind pillowcases to troops overseas, homeless veteran shelters, women and children’s domestic abuse shelters. The Sewport Project is now also sending cage comforters to animal rescue shelters.